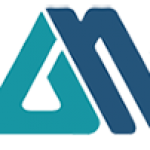 Alphabet Media Academy, first of its kind which is by the ‘Industry’, for the ‘Industry’ was launched by the Media Advertising Industry in Nigeria. You can visit www.mediaacademy.ng now. Lectures commence from April 21, 2018 at Grange School, Ikeja in Lagos on Saturday – Full day from 10 am to 5 pm, with 1 hour of break & Sunday 1 pm – 5 pm. To provide a Post Graduate Media Advertising Training for New Entrants approaching the Media Advertising profession and Young Executives already working in the Industry. To train students who would like to improve their current employment, while others would be trained to be ‘employable’ and the Academy shall assist them in job placement with prospective employers. To contribute to the Ecosystem by providing a constant flow of trainees/students who are well-trained with hands-on practical experience. 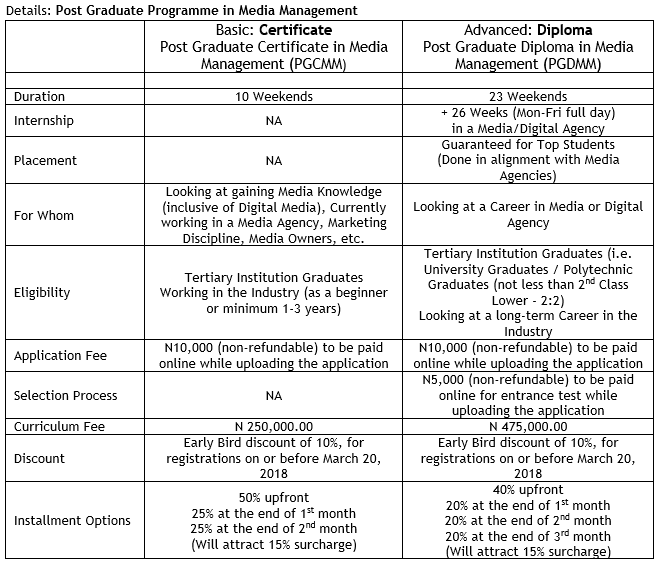 Guaranteed employment on graduation for Top 10 graduands (Diploma) in leading Media Advertising agencies in Nigeria. 6 months Internship with leading Media Advertising Agencies as part of Diploma program. Exposure to the most reputable practitioners of Marketing, Marketing Communications and Media Advertising during special industry sessions as part of the curriculum. Faculty is made of leading active Professionals – local & international backgrounds. Lectures and Masterclasses are held in a world-class learning center environment. Foreign Study Trip for students designed as part of the standard curriculum (for Diploma – PGDMM). Professor Lai Oso, is the Director at Alphabet Media Academy. Professor Lai Oso is a Professor of Mass Communication School of Communication, Lagos State University. Students can register, pay, take assignment, submit all assignment, check results, etc. While the faculty can upload Course materials, Evaluate submissions, etc.